Nollywood news + Naija Gist | Yoruba movies, Naijagist, Nigerian music, Naija news, Nigerian movies: Rare photos of 2face Idibia's First daughter, see their striking resemblance! 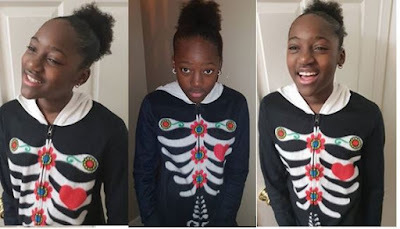 Rare photos of 2face Idibia's First daughter, see their striking resemblance! Rose Ehi Idibia, Veteran Singer, 2Fce Idibia First Daughter with Pero Adeniyi who was recently reconciled with his wife, Annie Idibia. The Super star has strong genes all his children all look a lot like the hit maker. 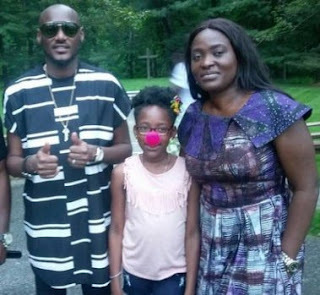 Pero Adeniyi and 2face idibia have three children, Rose and her other two brothers, Justin and Innocent. See More photo below..